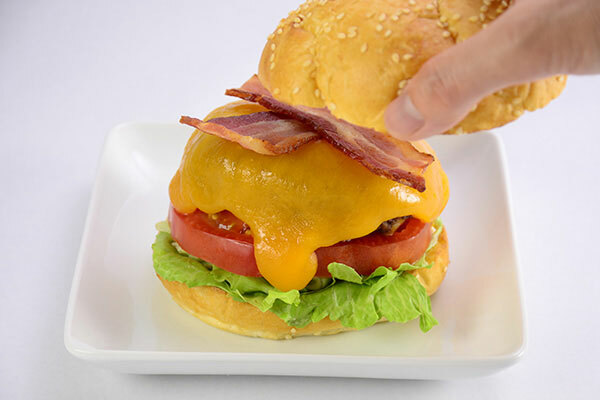 This is the ultimate recipe for cheese burger lovers - beef burger covered in melting cheese topped with flavorful thick-cut bacon! 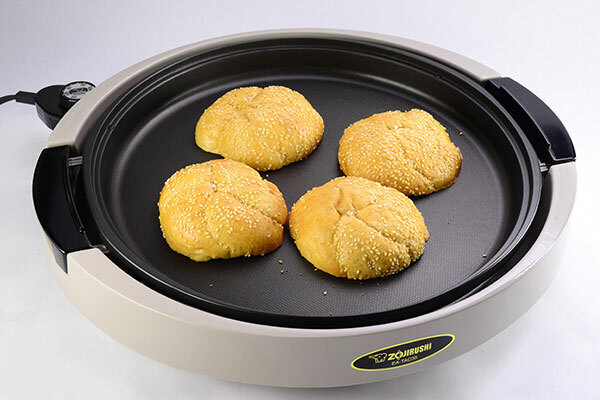 Enjoy cooking at your tabletop with a Gourmet Sizzler® Electric Griddle! 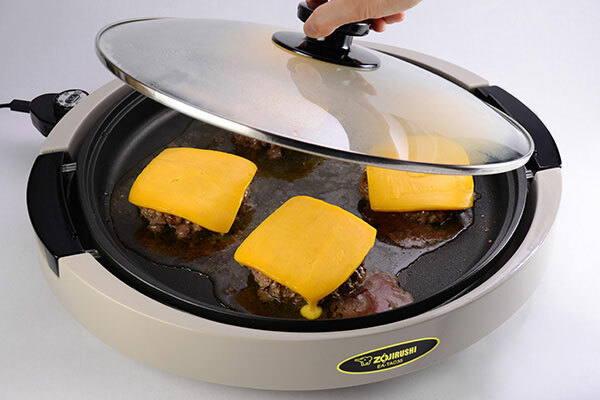 Turn on the Gourmet Sizzler® Electric Griddle and set to 360ºF. Wait until the pilot lamp turns off and lightly toast the cut side of burger buns and set aside (approximately 3 minute). 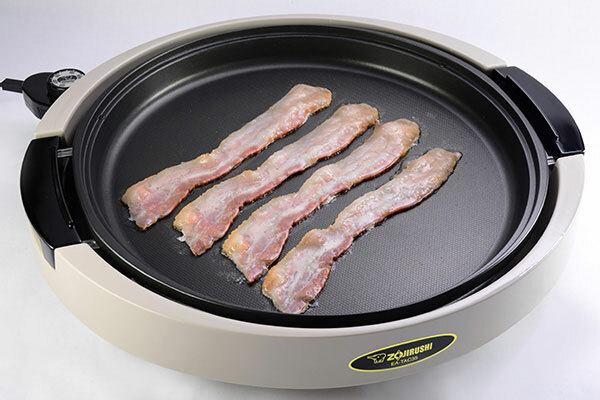 Place bacon strips on the Gourmet Sizzler® Electric Griddle and when the bacon sizzles, flip and cook for 2 minutes until brown. Turn off the heat, take out bacon, place on a paper towel lined plate and set aside. 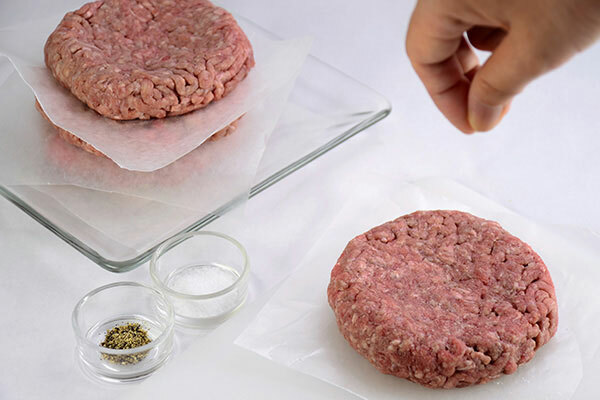 Divide ground beef into four 3/4-inch thick patties. Slightly dent the center of each patty. Sprinkle on salt and pepper. 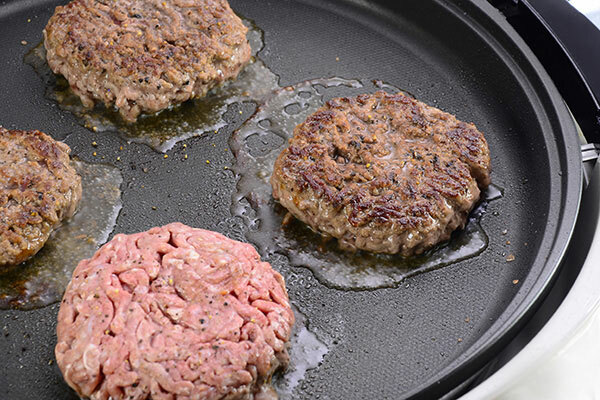 Remove extra grease from the griddle with a paper towel, set the Gourmet Sizzler® Electric Griddle back to 360ºF and wait until the pilot lamp turns off. Place prepared meat patties on griddle and cook both sides (approximately 6 minutes on each side). Please be careful of the heated pan. Place cheese on each patty, turn the griddle to 280ºF, add 1 teaspoon of water to the griddle then cover with the lid and cook for 1 minute or until cheese is melted. 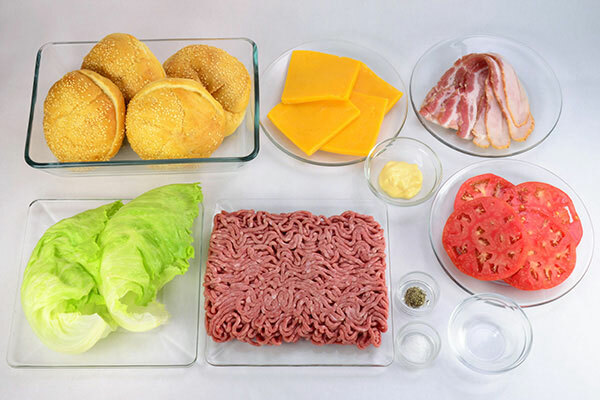 Cut each piece of bacon in half, tear lettuce leaves to fit buns. 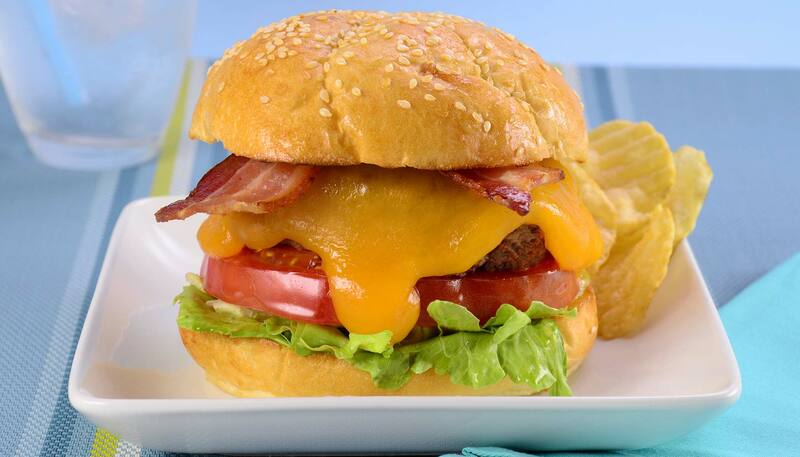 Spread mayonnaise on the bottom buns, stack lettuce leaves, tomato, cheese burger, bacon and top buns. Serve immediately.